So I really love, when you go out and eat some where, and the place really surprises you and take your breath away. For real. 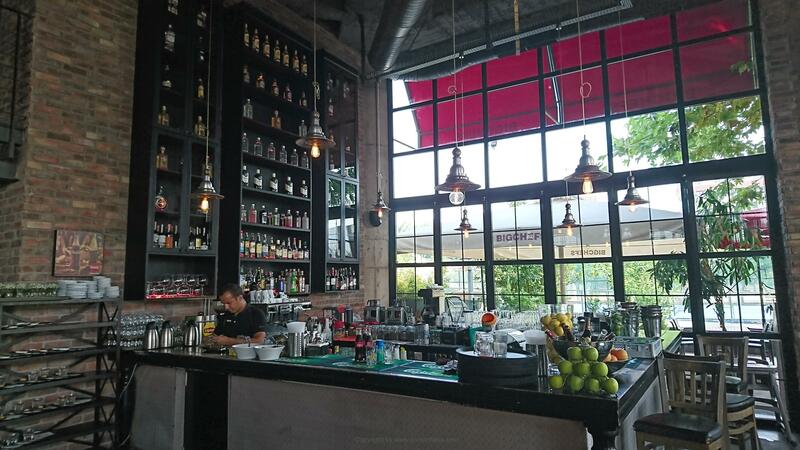 And such a place is the ” restaurant Big Chefs ” in Lara, Antalya. Holy Moly that place took my by surprise in every imaginable my. Great food, surprisingly different surroundings (as seen in Antalya), super service, phenomenal prices and even a really cozy place. Yes, I was speechless. It is (unfortunately) not often we go to Lara, when we are in Antalya. I really don’t know why it is so, because once we only stayed here, when we were in town. Before we got children it was clearly the neigborhood we preferred. And it really doesn’t have anything to do with the children’s arrival, that we really dont come there anymore. Even more so, grandfather lives in the other end of town, and it is a bit difficult (and time consuming) to cross through the much larger city. But Lara is really a thriving part of the city, where there is high ip (located on the cliffs high above the Mediterranean, and then it’s here where the wealthier part of the citys population lives) and where there is a lot of development and innovation with the shops and district. One can really feel this, when you come here, that a little extra is required and that competition to stand out in the discrete way is much sharper than in the rest of the city. Then one day we went to Lara. Just to check it out, shop a little, enjoy the beach and find a nice place to eat. For that particular, there is ample opportunity here. Eski Lara Yolu – The old Lara road inside the city is packed with good restaurants. It might be here – beside Kaleici inside the old town, that you have the best luck to find really good eateries. I do not want to call restaurant Big Chefs for either discreet or anonymous, rather the contrary. 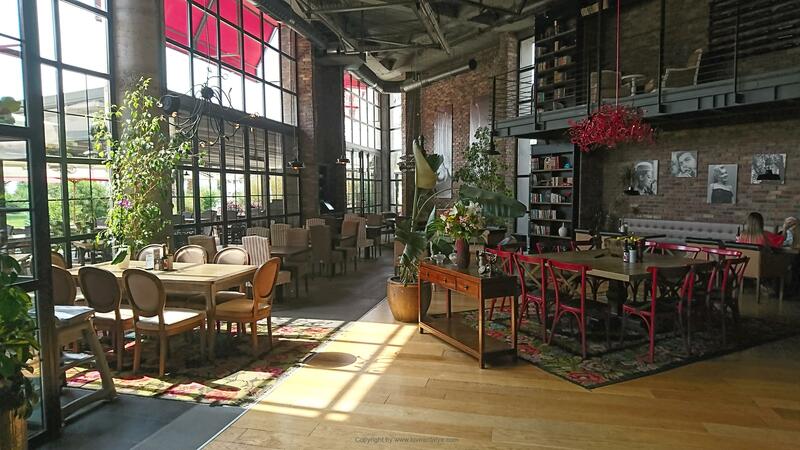 It’s a pompous, magnificent and ambitious restaurant, but in the very best laid back, relaxed style, where you just feel at home and can sit as you are whether it’s in shorts or a dress. Big Chefs is a big chain that started 10 years ago. There are 2 departments in Antalya and with more than 50 other departments in Turkey and a few more spread across the Middle East. So it’s just as big a business, which one can feel when thinking about how accomplished and professional it all is. But without losing personality surprisingly enough. Like so many other places there is of course parking. That is, you drive up to the main entrance, hand your car keys and someone park the car for you. Very Hollywood-like in my eyes (and really completely redundant, because the parking lot is just around the corner). And once in, you enter a room that is overwhelming in every way. Most of all, it reminds me of a restaurant in New York (judged by pictures, because I have never been in the big apple) with a large open-air “like” room with incredibly high ceilings, pillars, a “loft -room” with space for even more guests, several different areas furnished with leather sofas, a large open kitchen and a nice bar in the corner. Yes, you’ve probably lurked, that I’m very impressed with the place, so maybe I’m not the most trustworthy. But you can judge by yourself from the pictures. Did you expect that in Antalya, just like that ?? Now, of course, you should not see the dog on the hair, ie. you should not judge restaurants on their appearance). 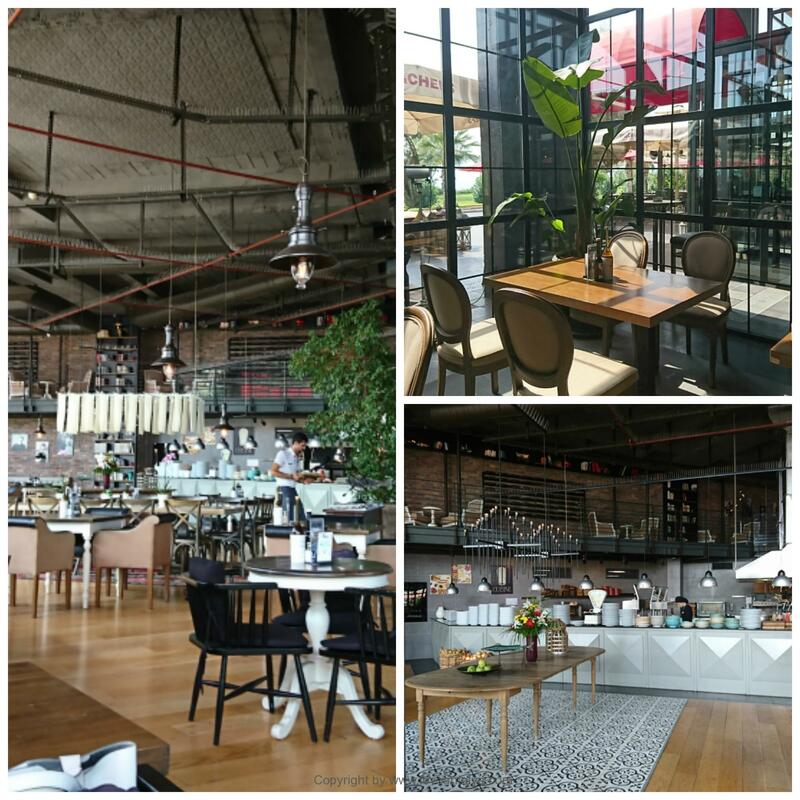 But it is nice with space, high ceilings, green plants, good service and beautiful views, when you’re finally out. But the food … the food was at least as good and impressive as the look. We got their great fine menu card, that was absolutely overwhelming. Normally I can not help thinking, if they can cook all the food on the card equally good, when there are so many dishes to chose from. I was in some way not in doubt about this. 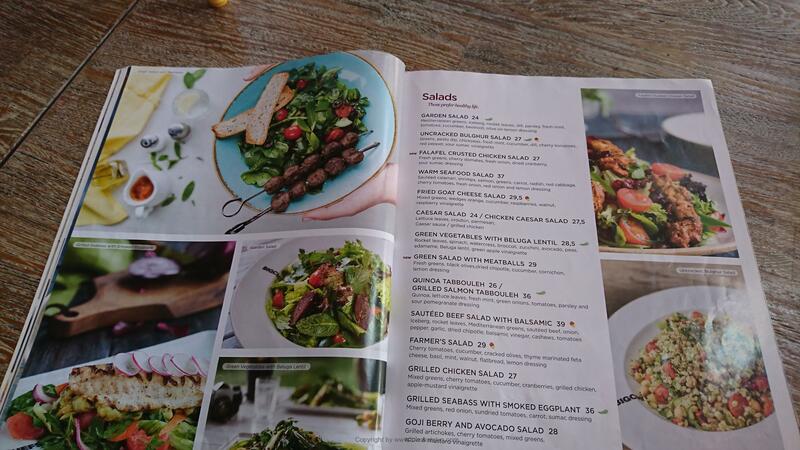 You can get everything between 15 different kinds of salads (!! ), sandwiches, steaks, pasta, pizza, more traditional Turkish dishes, desserts and burgers, which we all chose. 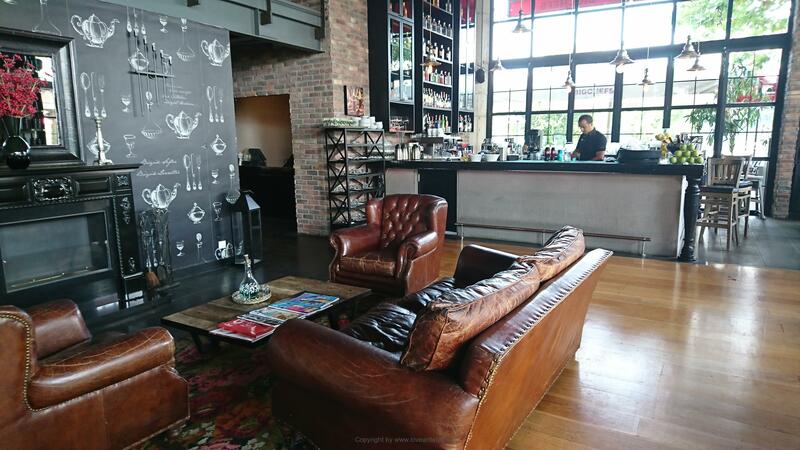 In addition, you can have breakfast, lunch and dinner, and drinks with and without alcohol. I’m not a big fan of burgers when you’re out and eating, but sometimes it’s just time. And that it was. Time. And oh boy, I did not regret it for a second. In fact, I never think I’ve had such good burgers before (and no, I’m not paid to say that) even though I’ve been to several real burger restaurants in Denmark, that do nothing else but burgers. Fortunately, the rest of the family completely agreed and we tasted each other on the cross. They were all equally amazing and it was simply impossible to choose. Can burgers really be that good? All burgers had something special little twist such as onion rings, or specially made chili dressing, which made them exciting and very tasty. In fact, I regretted, that I did not take the burger with chicken and avocado, because if the others were that good, then this one had to be really exciting. But it’s smart that you can also choose small burgers, so you could taste even more different styles. The only thing I regretted was, that we could not taste even more dishes from the menucard. Because it all looked so terribly delicious. So there is no doubt that the place can get a huge recommendation from here. I really hope you want to want to try it the next time you’re in town. At least I know that we’ll be back there – definitely and hopefully soon! 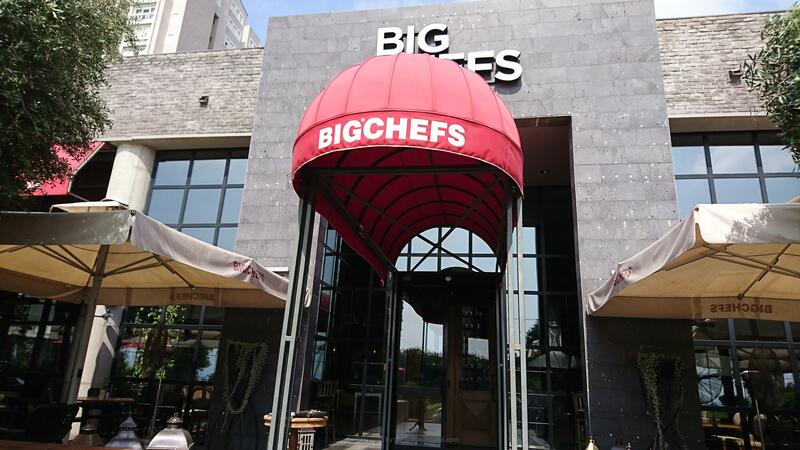 Big Chefs, Fener Mahallesi 307/2 | Lara, Antalya, Tyrkiet – eller på deres hjemmeside her. See this article in danish here / Læs denne artikel på dansk her.